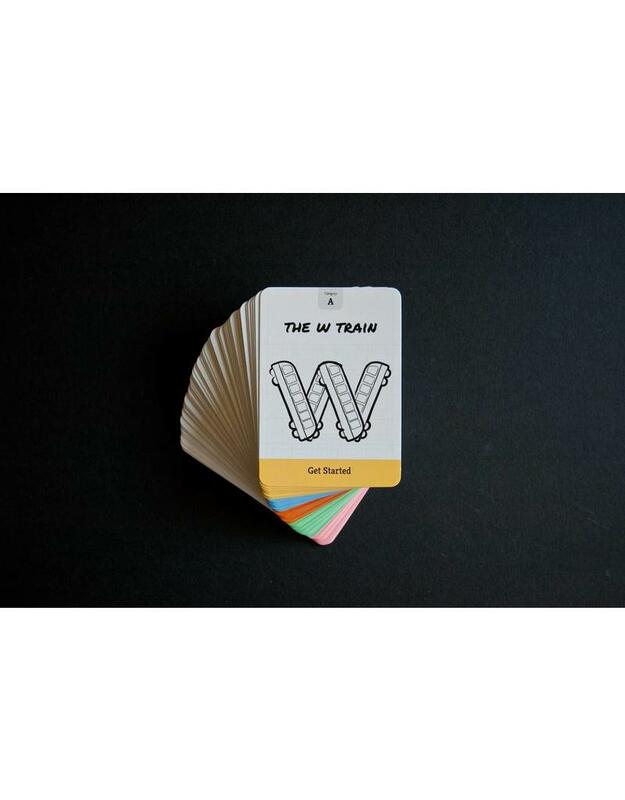 75 Tools For Creative Thinking is a brand new card set that stimulates your creative thinking in various stages of any process or situation where new ideas are desired. 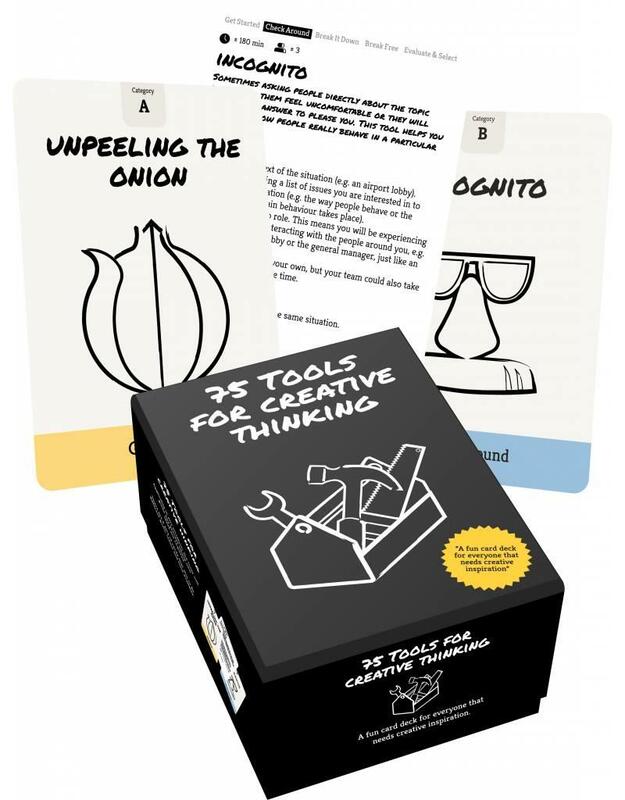 Being applicable to a diverse range of professions and situations, 75 Tools For Creative Thinking suits anyone who is interested in exercising and improving his or her creativity. The individual tools within these decks can be used independently, but can also form strings of multiple tools for specific challenges. 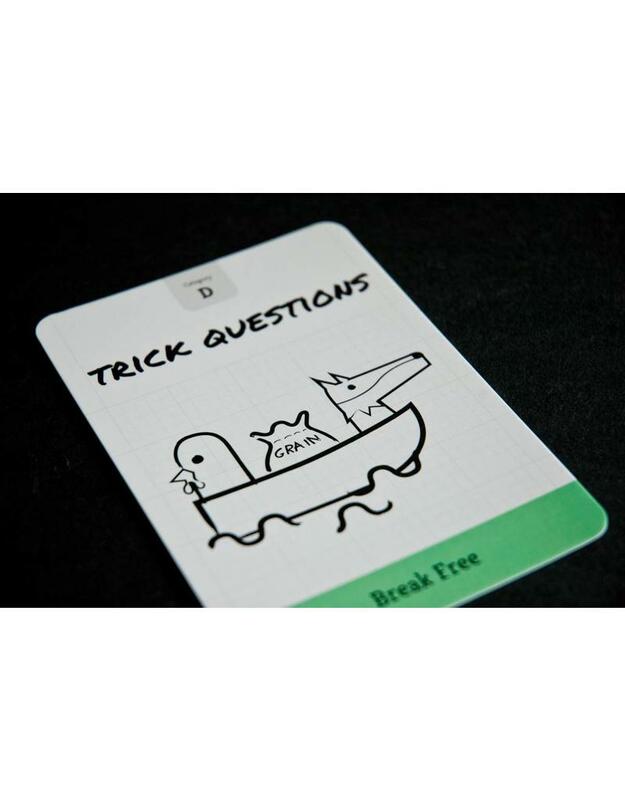 Each card describes a tool and suggests step by step how to use it. Next to that, each card shows the amount of people needed and how much time it takes to execute. 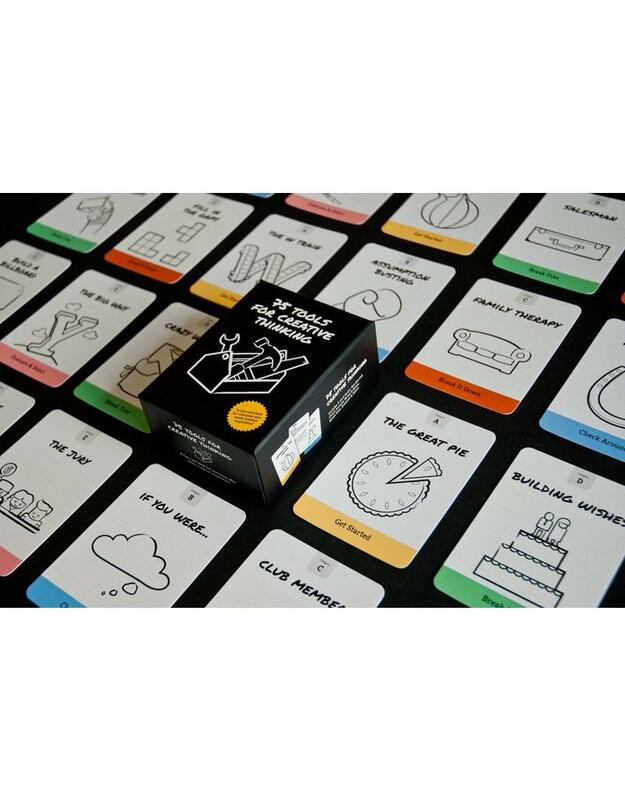 75 Tools For Creative Thinking was created by Dutch design and strategy studio Booreiland. Over the years the studio has always been seeking for ways to optimize its creative processes, using all kinds of creativity tools. Some of them originating from the practices within the studio, others inspired by methods and tools from design, service and marketing fields. The studio’s own desire to make the best use of the tools, to make them available, and clear and simple to use at any time has now resulted in 75 Tools For Creative Thinking, intended for everyone who needs creative inspiration. Wimer Hazenberg: Graduated in Artificial Intelligence at the RUG in 2007. Co-founded web design agency Booreiland in 2003. Also co-started meta products in 2008, an extra discipline within Booreiland, involving the so-called tactile web (consumer products connected to the web). Menno Huisman: Studied Industrial Design Engineering. Or in more common terms, product design. Co-founder and Creative Director at Booreiland. Sara Cordoba Rubino was born in Mexico City and did a bachelor in Industrial Design at the Universidad Autónoma Metropolitana. In The Netherlands she did a master's degree in Strategic Product Design at the faculty of Industrial Design Engineering at Delft University of Technology. Now, Sara applies these skills at Dutch design studio Booreiland as researcher and project manager.